Several voices both inside and outside the smartphone industry have been quoted saying that handsets have reached the pinnacle of their evolution in their current form. Today, smartphones are more powerful than the average desktop PC was a few years ago, millions of times faster than the computers used to send a man to the moon. At the same time, statistics have shown that the majority of smartphone owners don't even use a fraction of their handsets' processing power. The majority of smartphone owners use them to play games, known to be the most demanding type of smartphone apps, but most of the time these games are simple, casual titles, mobile pokie games, word games, and their likes, hardly a challenge for even a two-year-old handset. Considering the lack of exciting news on the smartphone market, and the release of a great variety of high-performance and affordable smartphone models, it seems safe to say that we should reconsider our future smartphone purchases and focus on accessibility rather than hype. 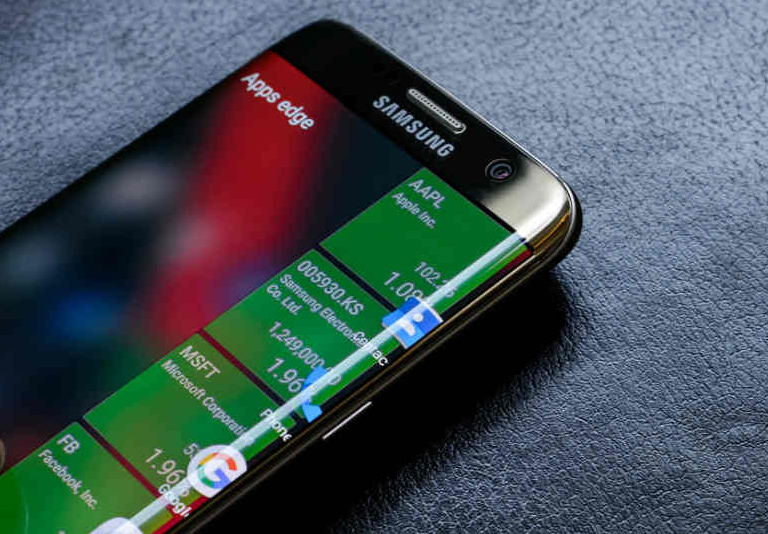 Samsung's Galaxy S7 was surrounded by a lot of excitement before its release in February 2017. When it hit the shelves, though, users couldn't hide their disappointment with the handset. Compared to the previous year's flagship phone, the Samsung Galaxy S6, the S7 failed to produce any significantly new and exciting features. It had the same size screen with the same resolution and pixel density, it had a slightly faster system-on-a-chip, a newer GPU, it had 1GB of extra RAM and a slightly improved performance. In short, nothing that would've justified switching from the Galaxy S6 to the Galaxy S7. Now let's take a look at another Samsung model released in 2016, the J7. Compared to the same Galaxy S6, it brought forth several improvements, including a newer chipset, a larger screen, a dedicated MicroSD slot (the S6 didn't have one), FM radio (something many of us still appreciate today), a larger battery with longer battery life, and a price tag that made it much more affordable at the time than the previous year's flagship model. In short, a phone with enough performance to be a perfect choice for everyday use, without the need to sell an arm and a leg to buy it. 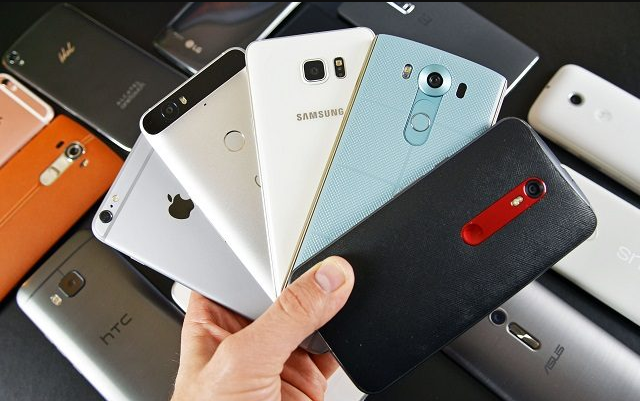 The performance gap between "affordable" and "flagship" handsets becomes narrower every year. One of this year's more affordable smartphone models, the Galaxy A7 (2017), has a price tag almost $300 lower than any of last year's Samsung flagships, coupled with a performance that's not too different compared to these models. An average user will surely not notice the difference in performance between the two but welcome the price difference nonetheless. Considering all of the above, I think it's safe to say that we shouldn't focus on flagship models anymore. They might be the ones surrounded by the biggest hype in the press but this doesn't make them the right ones for us - and they shouldn't be the models we desire the most. We use them to keep connected with friends and family, to navigate the world, find a date, take photos, watch videos, and play games at one of the high-end pay by phone bill casino sites, all at the swipe of a finger. Reports now show that more people use their mobile devices to have a bet or wager online, and because these online sites are operated under strict rules and regulations, and have to be licenced to run, increasing numbers are turning to online sites in preference to going out, for instance, to a bricks and mortar casino. There is no doubt that the Smartphone has changed our lives yet we are still only starting to understand the full impact that this new technology is having on our lives, our relationships and the lives of our children. Infact, there has been a great deal of research carried out on Smartphone usage, but we are still only scraping at the surface of how this use interfaces with our relationships. Questions like: Is the smartphone helping us be better connected, or is it taking us away from our relationships, and does using the smartphone help us to take a few minutes out from our busy lives, or is it distracting us from real problems, need to be addressed. What should always be remembered is that the Smartphone is not the real problem as it is actually a pretty impressive tool, what is the issues is how we use that tool, how we use the computer we can carry about in our pocket or bag that is the real issue. If you ask most adolescents if they could live without their phone, the answer would be a resounding no, but that answer is not just limited to adolescents as many adults would give the same reply. Take Australia as an example, almost 85% own a smartphone, that is around 16 million people just in one country, and Australia is only the fourth biggest nation of smartphone users in the world, our love affair with the smartphone is well and truly established, so much so that it is the 'must have' fashion accessory to have, and there is even phubbing to contend with. 'Phubbing' (for those who do not know) is the act of snubbing your partner in favour of being on your smartphone and we have all witnessed it (as well as doing it.) How many times can we go into a restaurant and see a couple hardly speaking to each other over the table whilst they are texting away or taking pics of the superb meal, they are out enjoying on Instagram? Knowing when and when not to use a smartphone, or where is appropriate to take pictures is one thing, but being able to put down that mobile device is a completely different matter. 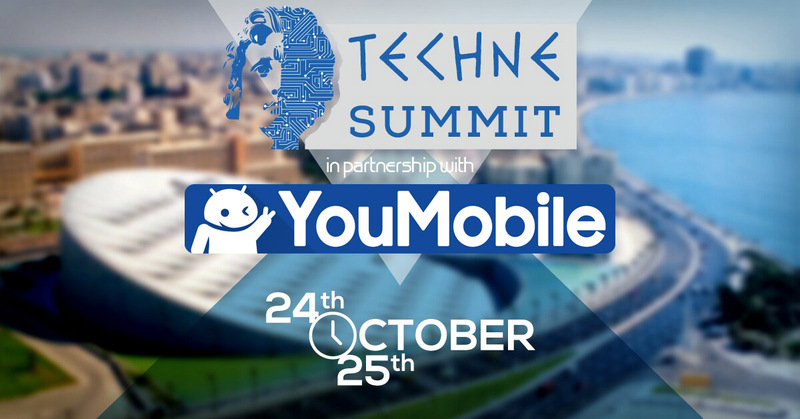 YouMobile will be on Techne Summit 2015 October 24th - 25th... Visit our booth! YouMobile® team will be present at Techne Summit 2015 event at Alexandria,Egypt displaying our website update tracking services and the technology we are using, We also gonna announce our future plans on improving our website and services and what we have currently in-development. Make sure to visit our booth if you are in Egypt! What is Techne Summit ? Techne Summit is a two-day (24th - 25th) international technology event that will act as a platform including the main global players in the technology industry, namely: the top international industry professionals as technology businesses, entrepreneurs and startups, investors, featuring the Top Technology Speakers in the world, users and media representatives. The event will present networking opportunities and open up possibilities for various business collaboration between parties, particularly those that pertain to grow in the Middle East and Africa region. 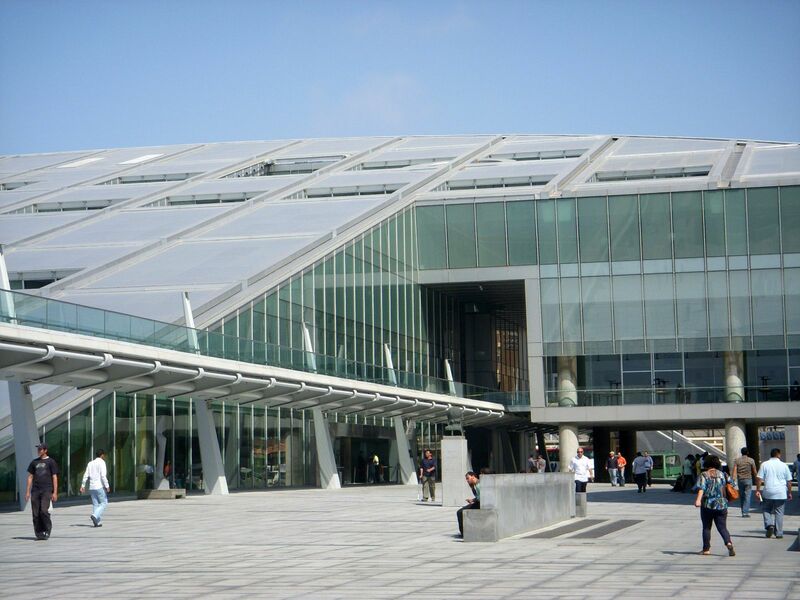 Techne Summit is an annual event that will kick off in October 2015 at the iconic Bibliotheca Alexandrina in the Mediterranean city of Alexandria in Egypt. 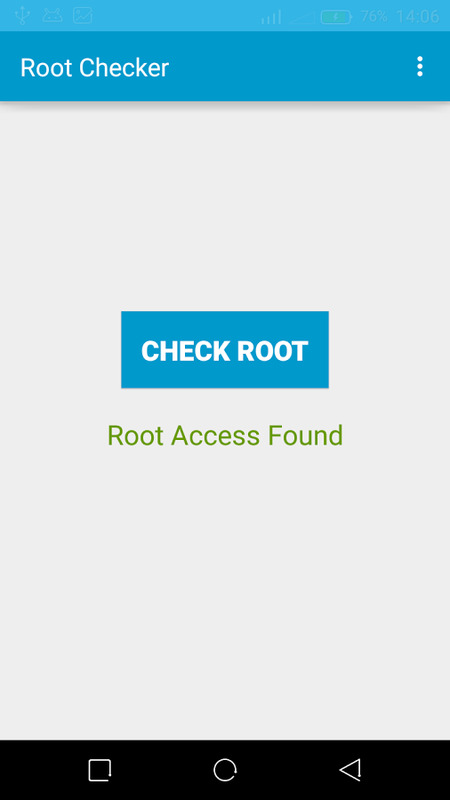 The Ultimate Root Checker Allows users to check root access on their devices by just tapping on Check Root. 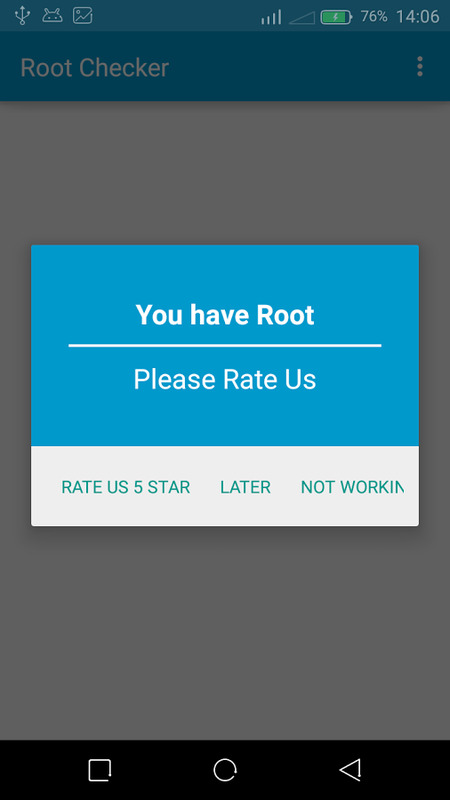 The Root Results are then presented back in rich visual representation. 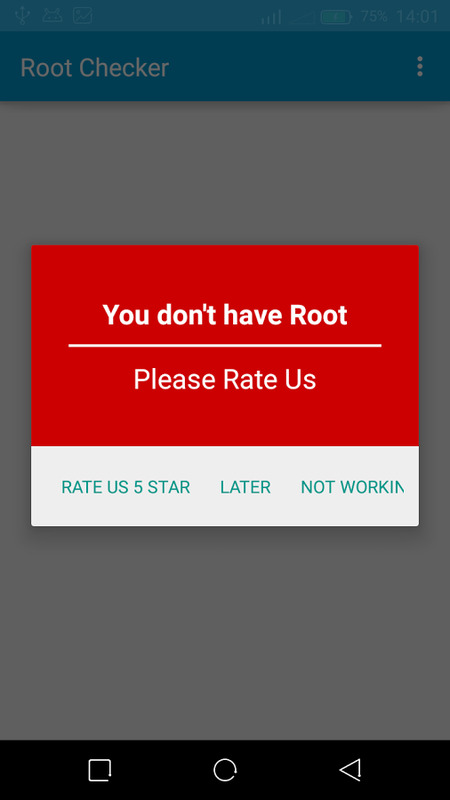 Rooting is the Android equivalent of jailbreaking, a means of unlocking the operating system so you can install unapproved apps, update the OS, replace the firmware, overclock or underclock the processor, customize just about anything. 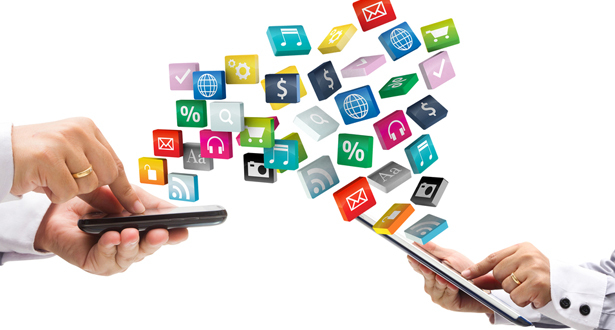 How many apps do you use every single day? If you're anything like the average person in 2018, numerous apps and gadgets will spring to mind and you probably can't imagine how you lived without them. Whether it's the organisational apps and platforms we all use to sort out our work and fitness schedules, the myriad indispensable apps necessary for personal security or the digital personal assistants that keep our life smooth and on track, there's no denying we live in a world where our lives are inextricably connected with technology. With that in mind, here's a roundup of the apps and gadgets we can't live without in 2018. Remember the dreary days when you were responsible for your own health and wellbeing? When you didn't have those handy little apps to measure your BMI, motivate you to train harder and put together a balanced meal plan? Those days are long gone. The heaviest hitter in this sector is undoubtedly Fitbit, which offers a range of applications and wearable tech to seamlessly measure your daily step count, heart rate, steps climbed and even the quality of your sleep to keep you on track. Fitbit is by far the most popular platform, with millions of users across the planet. But the buck doesn't stop at wearable tech, as these days you can download apps that measure and track your muscle mass and even buy yourself a high-tech yoga mat that reads your skins receptors and adjusts itself accordingly during a workout. 10 years ago, if you were told that one day you'd be dictating your daily life and allocating tasks to a little robot that lives in your living room, you'd have dismissed it as some kind of Jetsons-level fantasy. However, where would most households be today without their Amazon Alexa, Apple HomePod or Google Assistant? The proliferation of e-assistants into our homes has been rapid and advances in technology breathtaking. Whether you're wanting to book an appointment at the hair salon, order in your favourite Lebanese food or put together a music playlist for every mood, your super-intelligent PA has most definitely got you covered. In an uncertain world, security means a lot of things. Whether it's security against cybercrime and viruses, security against fraud or even protecting your physical safety, there's an app for it. 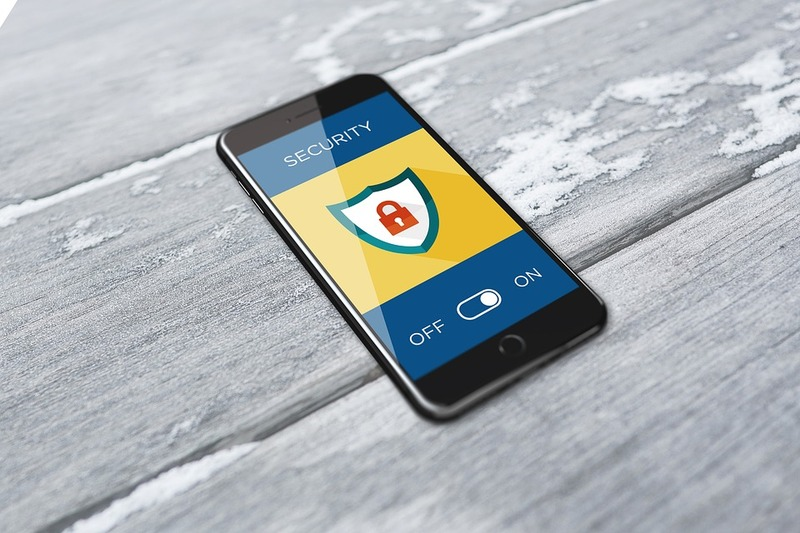 The growth of increasingly smart apps geared around protecting your privacy, information and tech means you're covered in every conceivable situation, with hackers finding it harder than ever to breach the endless safeguard apps that now exist. ExpressVPN keeps your browsing and messaging private, LastPass Password Manager keeps all your accounts safe and, for the extra-cautious, ProtonMail actually encrypts all your emails and messages. Do your worst, cybercriminals! Nowadays, there's no shortage of technology out there to encourage us to live our healthiest, safest and most-organised lives. If you have any tech tips which have made your life easier, let us know in the comments! As mobile gaming ages and creates a vast library of exclusive games for itself, it also borrows plenty of classic titles that originated on consoles or computers. Secret of Mana, Grand Theft Auto, Crazy Taxi Classic and Bully are just a few of the old gems you can download onto your phone, but even with all of the games that have made the transition, there's still a few that we'd like to see as an app and we haven't yet. Let's take a second to look at these entries and talk about what makes them worthy choices. 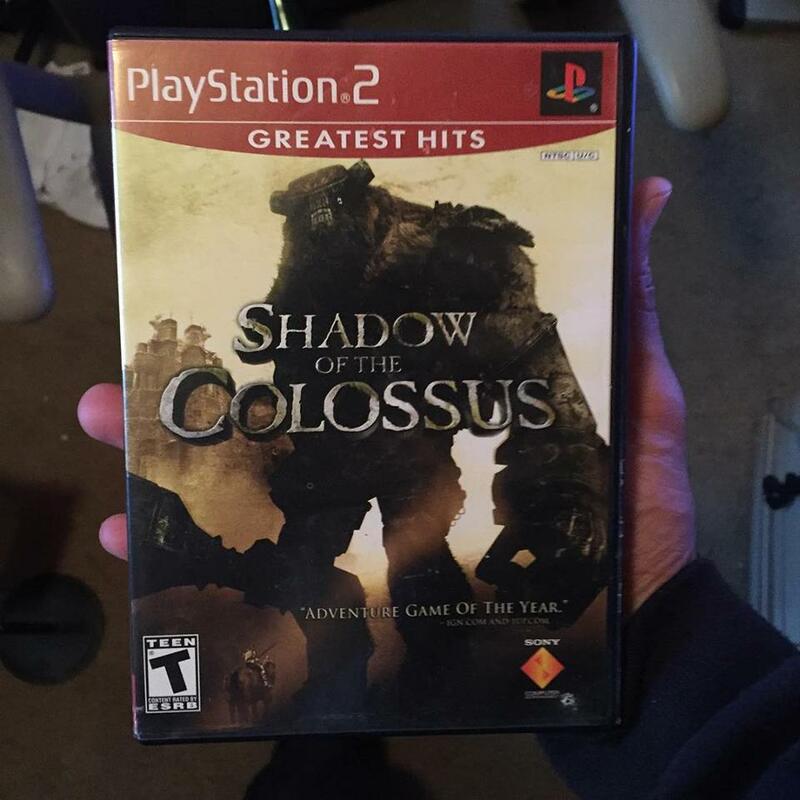 Widely regarded as one of the best games of all time and certainly the best out of the three titles developed by Team Ico, Shadow of the Colossus definitely needs to make its first handheld appearance. With the E3 2017 announcement that there will be a SotC remake in 2018, it only seems appropriate to make a port for phones so that people can slay on the go. With the dynamic gameplay of climbing up colossi opened up to touch screen, we might see some interesting changes to the classic controls - such as swiping up to scale a monster's back and double tapping the screen to plunge your sword into the beast's weak point. 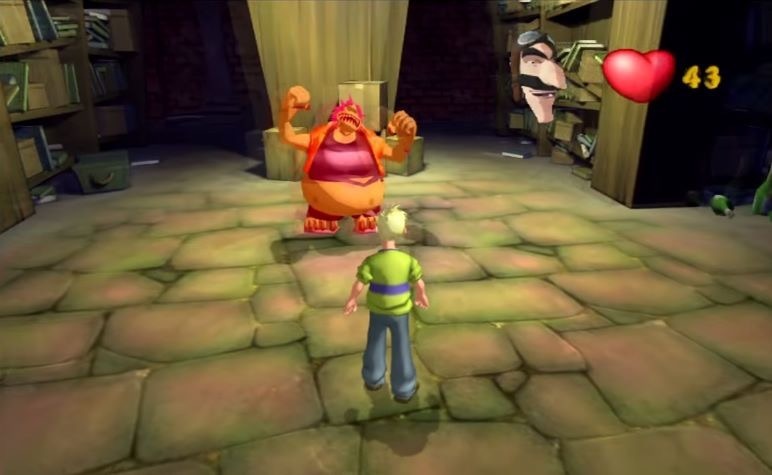 Although the final fight did suffer from serious frame dropping, the problem was virtually fixed in the PS3 port - a blueprint that developers should be sure to use when building the game for iOS and Android. From the same people who brought you GoldenEye 007 and Banjo & Kazooie comes Grabbed by the Ghoulies. The whimsical horror game has the player taking on hordes of Halloween baddies as they traverse a haunted mansion in search of the main character's girlfriend. While the game received mixed reviews upon its release, it was eventually re-released in the Rare Replay bundle for Xbox One, and has even gone on to inspire similar titles such as Grave Grabbers https://www.slots.io, a five-reel, 20-payline slot game that borrows heavily from the comedic and animated horror themes featured in Rare's classic. Grabbed by the Ghoulies also features a soundtrack by legendary video game composer Grant Kirkhope, the same man who created the highly regarded Donkey Kong Country series soundtracks. And with the recent boost in augmented reality games, thanks to Pokemon Go, Grabbed by the Ghoulies can take advantage of the same technology to bring the monster mashing madness right into your home. Since Nintendo has finally gotten with the times and started releasing app games, there's a whole slew of old gems that need releasing on the phone, but none more deserving that Super Mario Kart, a franchise that has sold 90.50 million copies worldwide according to vgchartz.com. With an added online multiplayer mode where people could play with others in their proximity and the addition of tilt controls similar to the Wiimote, Super Mario Kart could be modernized for a whole new generation of gamers. Although Mario Kart 8 and Mario Kart 7 are already available portable titles, not everyone owns a system to play them on. However, practically everyone owns a phone. Before we know it, we could be back in the '90s playing the first ever released Mario Kart online off of our phones. Now that's a nostalgia overload. 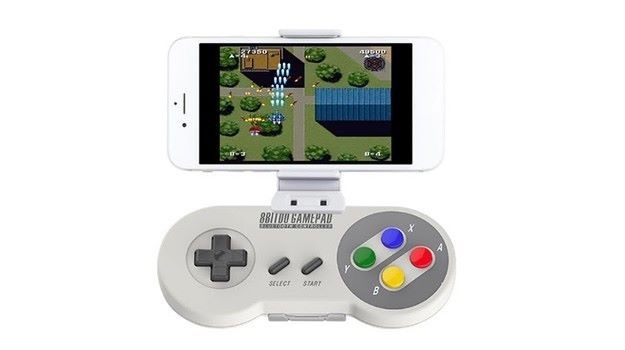 Regardless of what games are released for phones, the mobile gaming industry will be stronger than ever. 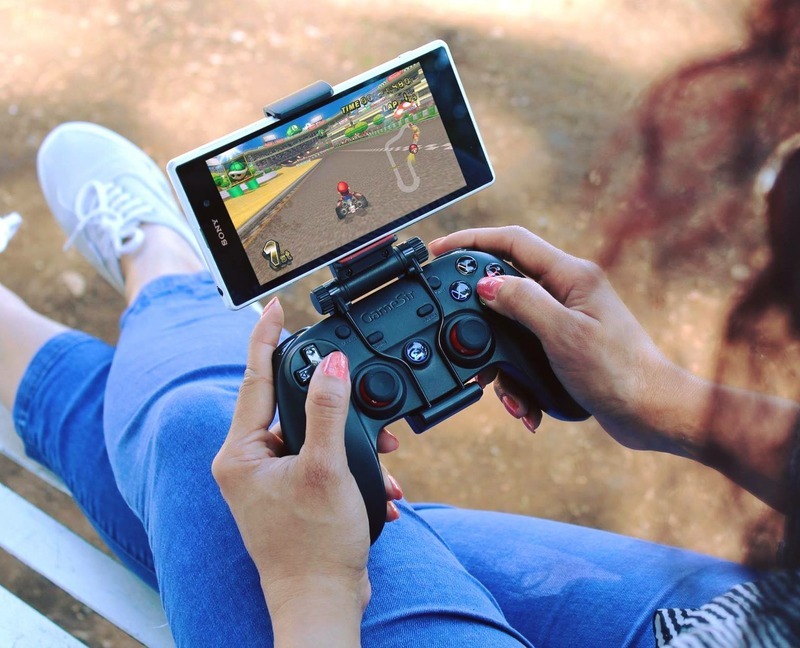 It would just help for more console-based gamers to have familiar options at their fingertips in an age where our phones are on us nearly every passing moment of the day. If technology really is going to be the downfall of mankind, the least we can do is make it fun for everyone. Poker is without a doubt the most popular card game in the world today, outranking blackjack which comes in at a close second top-grossing international casino table game. While blackjack used to be king of all card games, recent years have seen a change, mainly thanks to global coverage of huge poker events like the WSOP or World Series of Poker. While the popularity of poker continues to grow, not everyone can afford the time or money to win a seat at WSOP and other major global poker tournaments. In addition to this, not everyone wants to take poker that seriously. This is where online poker rooms come in to the picture, allowing more people around the world to play all sorts of poker games on new casino sites whenever they like - on their computers and right at home. This convenience is hard to beat as poker newbies and experienced players can pick and choose the type of poker game that best suits their needs. Further to this, the rise in mobile phone technology has also made it possible to play great poker games on the go, adding another element of convenience to the plethora of choices available to the modern poker player. Of course, not all poker apps are created equal and for every solid poker app out there, there are about a dozen that should be avoided at all costs. 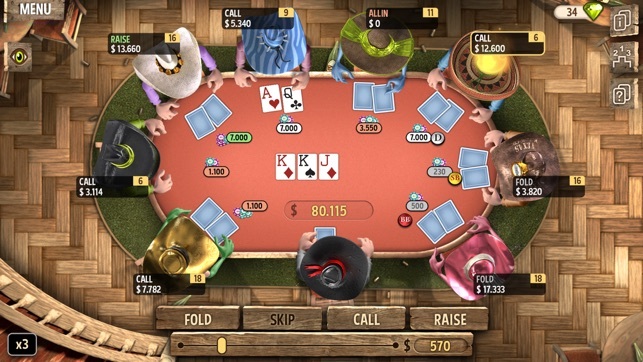 The trouble is choosing how to spot a great poker app for your Android mobile phone or tablet. Finding great poker apps can soak up a lot of your free time so it may be a good idea to start off with a few recommendations. With that in mind, check out our top three Android poker apps for 2018. These are available right now for download from Androids Play Store and include plenty of freebies and other cool features. Poker Heat can be downloaded for free from Google Play although it does include some in-app purchases. The game is classified as a ‘freemium' option and features an interesting league-based platform. Once you've downloaded and installed the app, you can join one of seven different poker leagues. The game includes an online multiplayer option, free coins to power your game and more. Enjoy six different poker styles on this third addition to the Governor of Poker series, including everyone's favourite, Texas Hold'em. Governor of Poker 3 is not as intensive as other poker apps but it is a lot of fun and covers a fair amount of ground, and even includes a free blackjack game. The good features of this app include online multiplayer support, cross-platform support, free chips every four hours and options to play via Facebook, Android, iOS and even Steam. 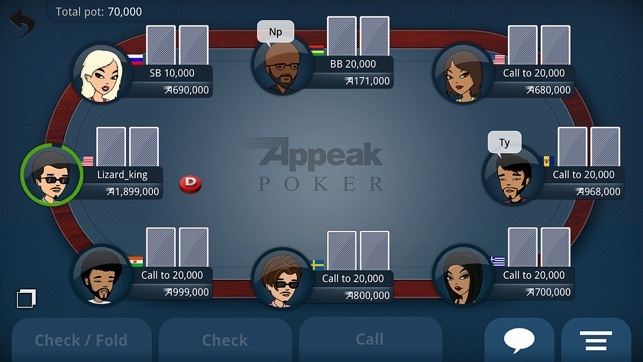 Available for free download on Google Play, Appeak is a fairly new poker app that already has well over 100,000 active players onboard. This gives you a great variety of online gaming options, along with an easy to use interface, a variety of in-game challenges and activities and up to 7000 free coins each day that you play.